Tall Ingots recycles all grades of ferrous materials like roofing iron, whitegoods, car bodies, steel offcuts, cast iron, mining steel and more. The easiest way to tell if a material is ferrous is to test if it is magnetic. 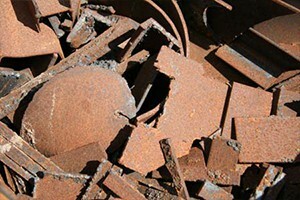 Since all ferrous material contains iron, recycling these products can go back into the making of steel products. Steel products are in great abundance and by bringing us your unwanted ferrous material; you can help reduce the need for iron mining. You can deliver into our yard or arrange for a bin to be delivered to your site. If you do require a bin to be delivered minimum quantities do apply. This includes any roofing iron, washing machines. 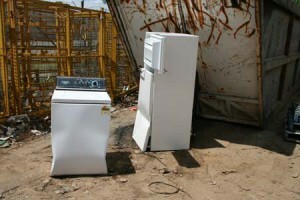 Fridges that have been de-gassed, air-con units that have been degassed, microwaves, dishwashers, ovens and any other light weight metalic product. Usually this includes items that are over 6ml thick such as beam off-cuts, angle, RHS, punchings, car rims, truck rims and other heavier gauge metallic product. We will accept any size steel offered. 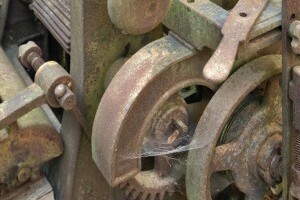 This includes old bath tubs, cast iron pots, valves, pipes, furniture, bbq plates and engine blocks. 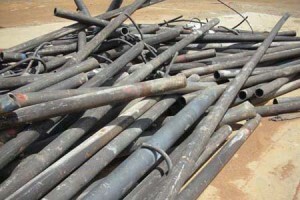 This includes products such as manganese steel, ESCO, Ni Hard, carbon steels and any other exotic mix of ferrous materials. Prices are subject to quantity available.